Laser cutting with the ALPHAREX™ opens up new possibilities. Short production times even with complex geometries and in large formats at a consistently high quality level are its key strengths. The on-board laser source ensures the highest precision throughout the entire working area. To detect the different states of the laser process, the ALPHAREX™ features specific optical sensors, which automatically control the cutting speed, identifying the end of piercing or any loss of cut. This means fewer rejects and consistently high cutting quality, which eliminates the need for costly reworking. The ALPHAREX™ is also extremely user-friendly. It uses the principle of mirror focusing, so there is no need for manual settings. With its special cutting head concept, the machine features far longer laser focusing optic lifetimes compared to conventional cutting heads and is thus a leader in technology and performance. 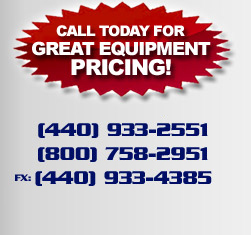 Take advantage of great reliability, precision and economy! 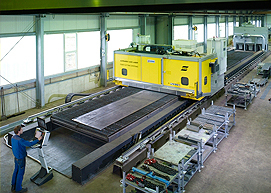 The on-board PRO-LAS1 laser safety system (laser safety class 1) makes it possible to load and unload the machine during the cutting process. This guarantees uninterrupted production operations. The ALPHAREX™'s ease of operation and very high working speed help you make the most of your productivity.